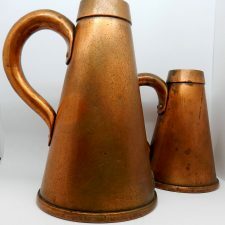 A fine matching set of three late copper cone-shaped measures. 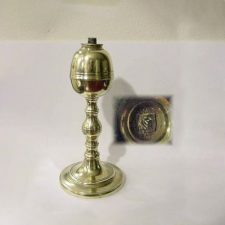 Dovetailed construction and hollow handles suggest late 19th century. 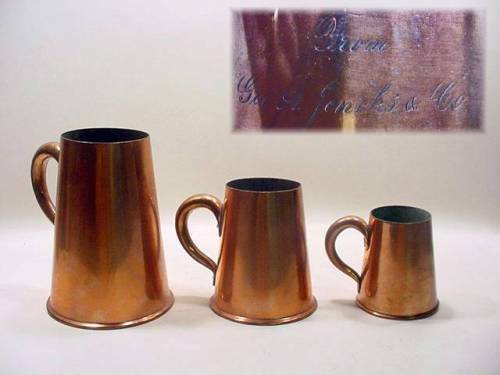 All three are engraved “George Jencks & Co.” The set includes the ½ gallon, quart and pint. 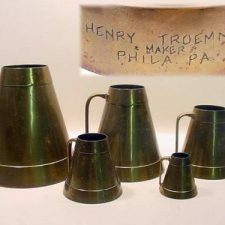 The condition of these American measures is excellent.